David Hartzel West, 78, of Cottage Avenue Weston passed away on Wednesday, September 12, 2018 in United Hospital Center of Bridgeport following a brief illness. He was born in Weston on July 17, 1940: son of the late Boyd West and Charlotte (Johnston) West. On February 17, 1964, he married B. Maybelle (Wyatt) West, who survives. David is also survived by one daughter: Patty Weston and husband Harold “Bubba” of Orlando, FL, one son: Hartzel R. West and wife Bev of Buckhannon, 6 grandchildren, 15 great grandchildren and several great great grandchildren. He is also survived by 4 brothers: Ron West and friend Pat Clark of Leesburg, FL, Calvin Teets and wife Star of Buckhannon, Jack Teets and wife Joyce of Indiana and Jerry Teets and wife Jonnie of Wyoming, 2 sisters: Sue Szukalowski and husband Ski of Louisville, KY and Anita Moyer and husband Lee of Buckhannon, 4 brother-in-laws and several nieces and nephews. In addition to his parents, David was preceded in death by 1 daughter: Cindy West. Mr. West was a retired dozer operator with Queen Brothers and Sam Jacks and was a truck driver with Allegheny Tank. David’s hobby was woodworking where he made clocks and wishing Wells and many other things. He also enjoyed sports: West Virginia University teams and NASCAR. He will be missed by all who knew him. Family and friends will be received at Hardman-Paletti Funeral Home 730 N. Main Avenue Weston on Sunday, September 16, 2018 from 2-4 p.m. for fellowship time. Memorial services will be held on Sunday at 4 p.m. from the Hardman-Paletti Funeral Home chapel with Reverend Dwayne Brown and Pastor Mike Riffle officiating. 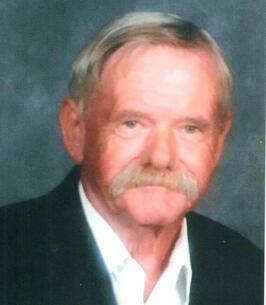 A private interment at Vandalia Cemetery will be held at the convenience of the family. On-line condolences and life stories in memory of David may be expressed at hardman-palettifuneralhome.com. Hardman-Paletti Funeral Home of Weston is honored and privileged to serve the family of David Hartzel West. To send flowers to the family of David Hartzel West, please visit our Heartfelt Sympathies Store. We encourage you to share any memorable photos or stories about David . All tributes placed on and purchased through this memorial website will remain on in perpetuity for future generations. Maybelle & family: So very sorry to hear of your loss. Prayers for all. Maybell and family, I'm so sorry about David your in my thoughts at prayers at this time. Just keep all the good memories in your heart.